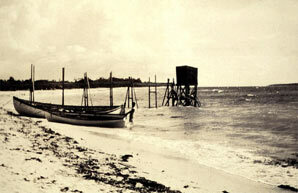 Fuga Island. It was here that DOVE Team rescued the prominent SyCip family from the Japanese. 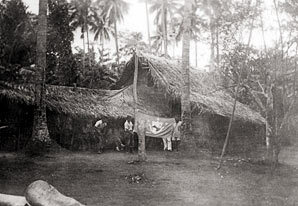 A converted native hut serves as a temporary headquarters for the 40th Division while on operations in New Guinea. 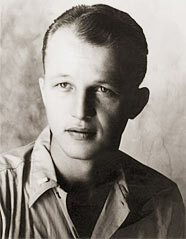 Alamo Scout William Nellist served with the 40th Division before volunteering for the Alamo Scouts. 1944. 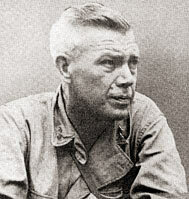 LTC Leon L. Matthews, commander of the 2d Bn, 167th Infantry. 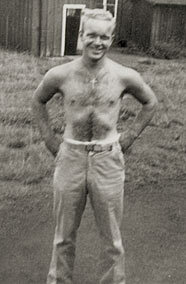 Matthews was part of U.S. forces that landed on the Mapia Islands (Pegun, Bras, Fanildo) on 15 Nov 1944, and confirmed the execution of three airmen who SUMNER Team had attempted to find on Pegun Island in Aug 1944. 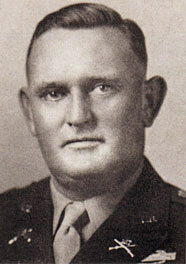 MG Edwin D. Patrick. 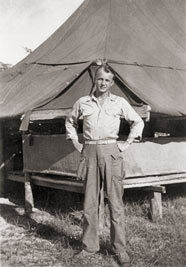 As a BG and Chief of Staff for Alamo Force (6th Army), Patrick signed AG Order 353-B on 28 Nov 1943, establishing the Alamo Scouts Training Center. 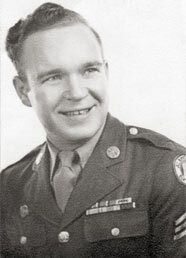 Patrick later commanded the 6th Infantry Division but was killed in action on 14 Mar 1945. 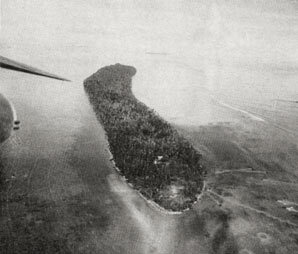 Aerial view of the Mapia Islands during the U.S. Army landing there on 15 Nov 1944. 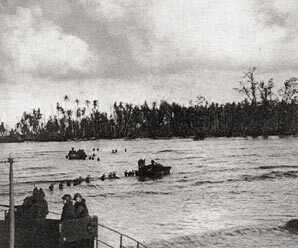 U.S. forces prepare to land on the Mapia Islands. 15 Nov 1944. 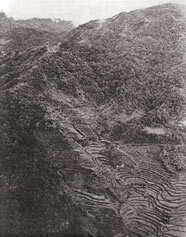 The rugged Cordillera Mountains in northern Luzon. It was in these mountains that Alamo Scout teams performed numerous missions from Jan-Aug 1945. Sansapor, western New Guinea. 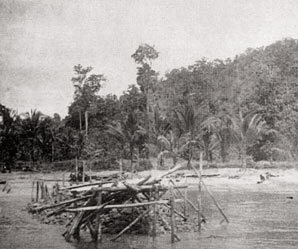 It was here where THOMPSON, DOVE, and LUTZ teams conducted separate reconnaissance missions in preparation for the successful landing by U.S. troops on 30 Jul 1944. Comedian Bob Hope and singer Francis Langford, two of the top Hollywood stars of the WWII era, entertain troops on Woendi Island, off the north coast of New Guinea, 25 August 1944. 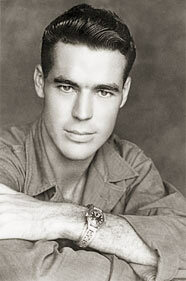 Also appearing were Jerry Calann and Les Brown and his band. SUMNER Team, fresh off a harrowing mission on Pegun Island, was there and enjoyed the show. 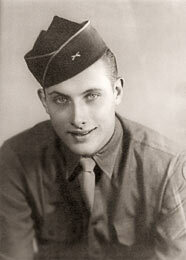 PFC John R. Lovett. 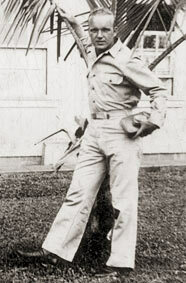 Lovett was in training as part of the 9th Class at the ASTC when the war ended. 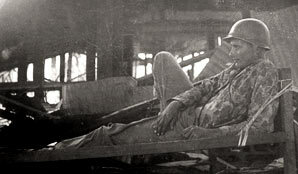 John R. Lovett relaxing prior to attending the ASTC in August 1945. Alamo Scout Joshua Sunn before the war. 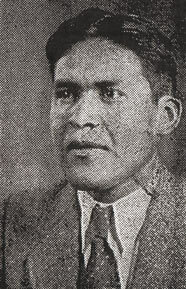 Sunn, a member of the Native American Maricopa Tribe, hailed from Laveen, Arizona, and served with the Scouts from January-December 1944. 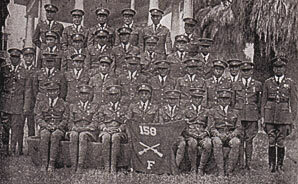 Company F, 158th Infantry, Arizona National Guard, prior to Federalization on 16 September 1940. 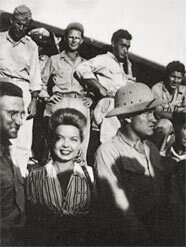 The Company was organized in 1924 as the only all-Indian company in the U.S. Army. Joshua Sunn and other future Alamo Scouts hailed from the unit.